* Slide 1: History * Slide 2: Staging the Illiad-- according to Lowe, 5th century Greek Tragedy was less about concern with psychological effect than it was with expressing and understanding certain ideals of the Greek heroic tradition. 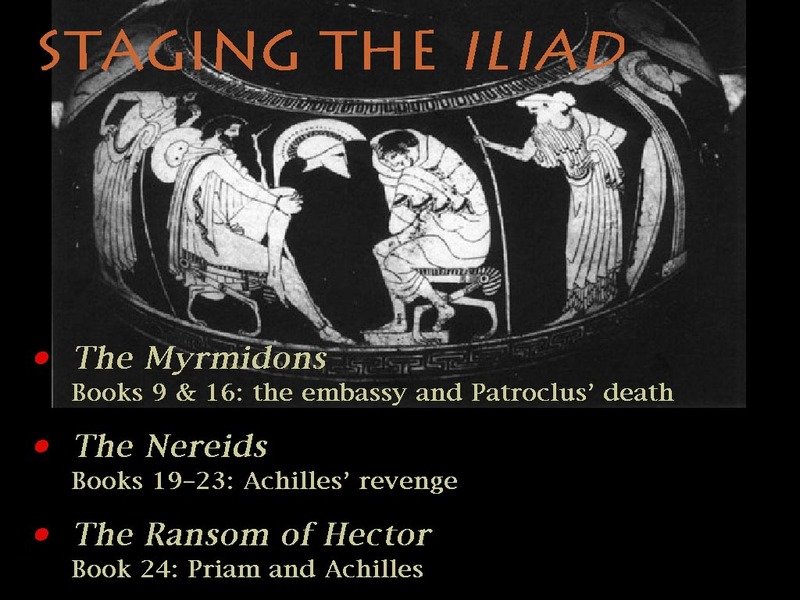 Example: Aeschylus's trilogy-- the very first-- of the Illiad. 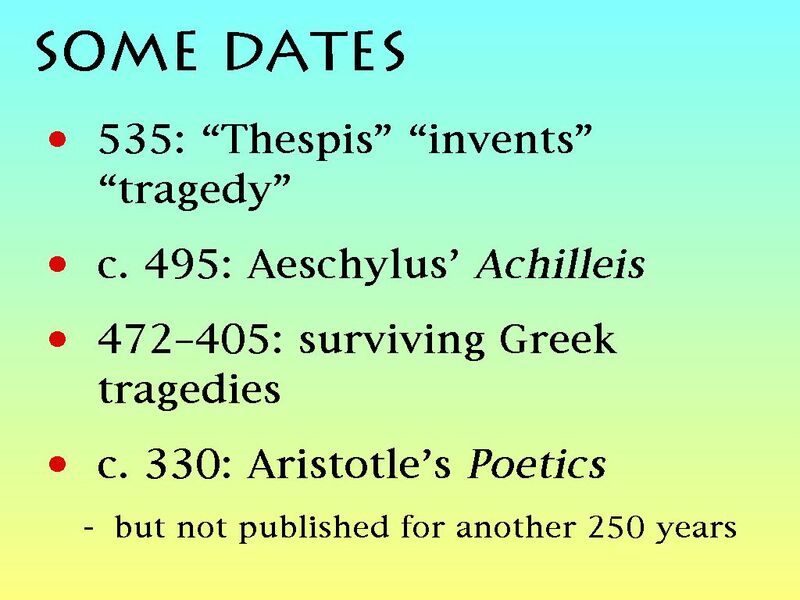 * Slide 3: Aristotle's Poetics -- trying to come up with a metalanguage to describe storytelling, and using it on tragedy as a test case. Notice how the system is primarily defined in terms of how these techniques might articulate a particular band of the emotional frequency, rather than, for example, deliver any kind of ideology. David Millard (Presentation Flash) * Engineering systems for creative projects * A basic model of storytelling * Areas where generic software can provide systems for computer storytelling. J. Nathan Matias is a postgraduate at Cambridge University studying English Literature and has been bumblingly trying to understand topics in Hypertext and Electronic Literature since 2002. He was the recipient of the 2005 ACM SIGWEB Nelson Award and the author of this spatial hypertext user interface. Clare Hooper is an Eng.D. student at the University of Southampton's ECS & IBM Hursley. She's part of the ECS Learning Societies Lab and is the creator of StorySpinner.